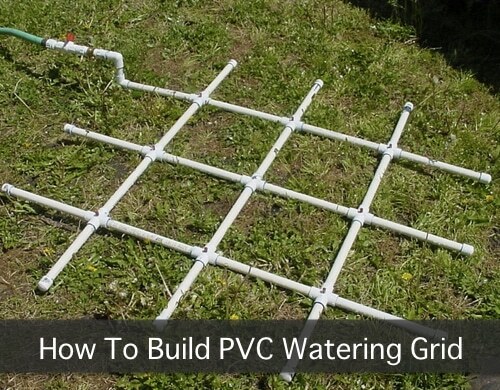 If you are a new square foot gardener, this PVC watering grid for square foot gardening will save you a huge amount of time watering your garden. Many fans of the square foot gardening method reduce their time watering by installing a watering grid system. You can build your own system for your square foot garden with this do-it-yourself PVC watering grid. Once the grid is complete and attached to a hose and faucet, then install an automated timer. This way your garden will be watered for set days, times, and durations freeing you up to do other things. Unfamiliar with the square foot gardening method? It’s a proven technique that helps you get more harvest to your table. Mel Bartholomew, the inventor of this backyard gardening concept, explains all you need to know about square foot gardening in his popular and well-reviewed book Square Foot Gardening Answer Book. You can browse the book on Amazon to learn more or to purchase a copy. Of course, first check your local library for a copy.